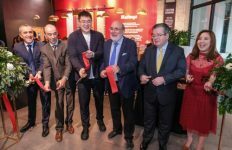 Michael Cluzel, Co-founder and Group CEO of Eatigo (Thailand) Co., Ltd., today launched the world’s first platform that offers restaurants in Bangkok to increase their profitability via time-based discounts on a daily basis especially during off-peak periods. From left: Mr. Thomas Singenberger, Assistant Food and Beverage Director, The Okura Prestige Bangkok; Mr. Pumin Yuvacharuskul, Eatigo Co-founder & CEO Thailand, and Mr. Michael Cluzel, Eatigo Co-founder & Group CEO. 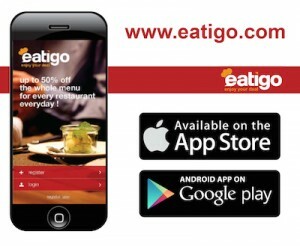 The application is available on www.eatigo.com and can also be downloaded as both an iOS and android mobile app. 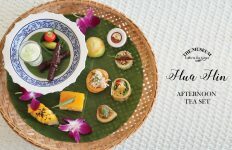 “Our aim is to help restaurant owners and management in connecting empty stomachs to empty tables, and that’s why we chose to launch this application in Bangkok, where eating is regarded as its residents’ most favourite past time. Everyone here loves to eat, enjoys new eating experiences and great deals”, explained Mr. Cluzel during the launch. The user-friendly application provides table reservation services with up to 50% discount at every partner restaurant during off-peak hours daily, enabling diners the opportunity to enjoy their favourite restaurants as well as venture to sample those which they would normally baulk at due to the high prices on the menu. The discounts apply to every food item on the menu and can be booked online without any credit card information or printing of coupons at no cost whatsoever by any potential diner. 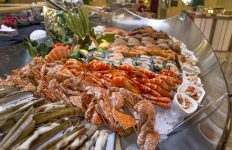 Applying the tried and tested yield management business principles used for the travel and hotel industries, Eatigo’s application is certain to revolutionize F&B operations. 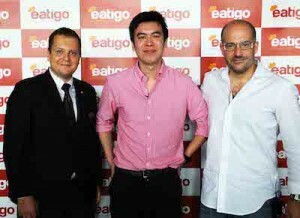 Already partnering with Eatigo are over 100 popular eateries in Bangkok such as Crepes & Co, Outback Steakhouse, Medinii, Flavors at the Renaissance Bangkok hotel, Parkview at the Imperial Queen’s Park hotel, Casade at the Amari Watergate Bangkok, Espresso at the Intercontinental Bangkok and Viola at Sofitel Sukhumvit hotel to name a few. 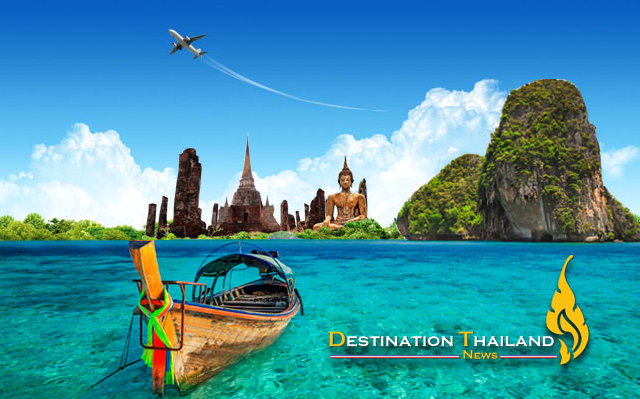 “With such reputable business partners as KBank, DTAC and EDTGuide.com and famous Thai celebrity couple, Chakrit Yamnam and Virithipa (Woonsen) Pakdeeprasong, as our brand ambassadors, we expect to increase the number of restaurant partners in Bangkok significantly during the next six months, and expansion plans to other Asian countries are already in the pipeline”, said Pumin Yuvacharuskul, Co-founder and CEO Thailand. 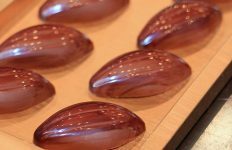 Eatigo is the first company in the world to do this, with operation offices in Bangkok and Singapore.